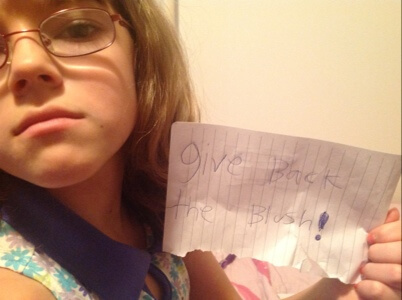 My wife confiscated my preteen daughter’s blush. 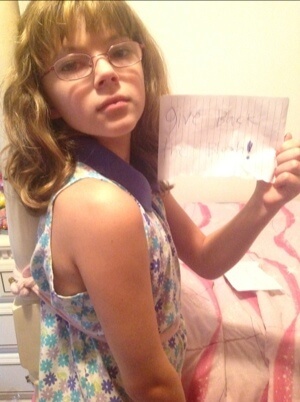 To protest the injustice, my daughter tied herself to a pole and wrote this protest note. 21 Jul 2012 in Culture, Ethics, Personal, Rhetoric. Stacy Ann Vitt liked this on Facebook. Gladys E. Mares liked this on Facebook.